I've done quite a bit of DNA testing in the last couple of years, but I haven't come up with many matches so far. One problem is that I have three rare glitches in the sequence that greatly reduce the likelihood that I'll match someone. The other problem, though, is that for many DNA connections to work, you have to be able to go back as far as you can on both your patrilinear and matrilinear lines. At this point, I can go back 7 generations on my father's line, which is pretty good. 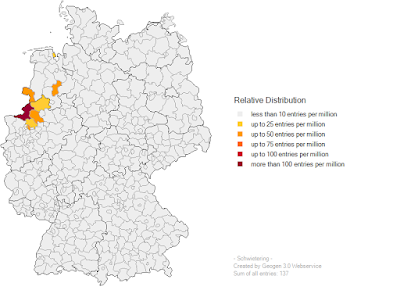 But on my mother's line, I've been stuck for a long time at three -- I couldn't find information on my great-grandmother, Christiane Wilhelmine Luise Schulze. But last week's treasure-trove of information helped me to flesh out her life a bit, and to get one generation further back. Wilhelmine, as she was called, was born on December 24th, 1859, in Burgdamm, a district a bit north of the city of Bremen, in Germany. We know at this point that her father was Christian Friedrich Engelhardt Schulze, that he was an "arbeiter," or laborer, and that her mother's maiden name was Sophia Bellmer. So our next step is to start researching Sophia Bellmer, in the hope that we can get even farther back in that line. On April 26, 1884, Wilhelmine married Maximilian Langer; she was 25 years old and he was 44. We don't know what brought them together; his occupation is also listed as "arbeiter," but family history has it that he was a chimney sweep. 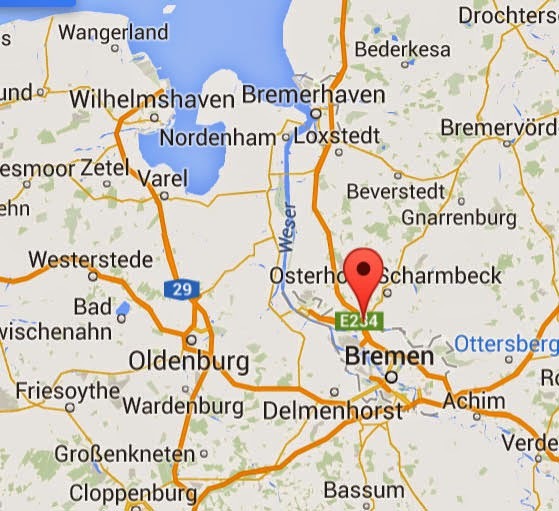 We do know that in the next seven years, they had three daughters: Sophie, Hanni (Johanna), and Lina and their children were all born in Bremerhaven, a city to the north of Bremen. 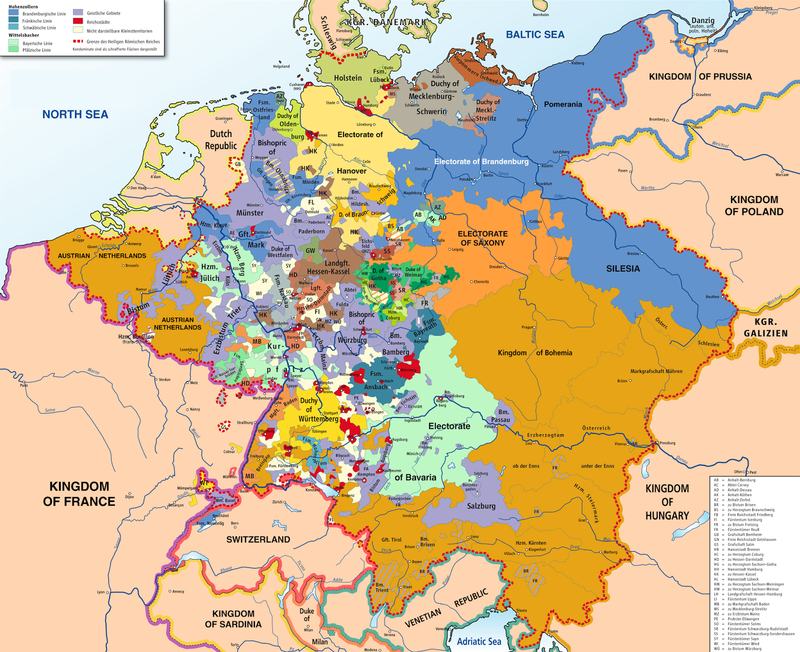 And here we come to the great mystery of this particular family tree -- at some point between 1892 and 1896, Maximilian suffered some kind of mental disorder that caused him to be sent to the "Irrenanstalt" (lunatic asylum) in Goettingen. At this point, we don't know what that mental illness was; all we know is that he died in the asylum in 1896, leaving Wilhelmine a widow in her thirties with three daughters to support. We don't know how she did it, but my guess is that she took in sewing, made dresses, something like that. My grandmother Sophie was an incredible seamstress, lace-maker, knitter, and so on, and she had to have learned from someone. Just speculation, though. Then in 1904, and this was news to me because I'd never heard it, Wilhelmine maried a locksmith named Wilhelm Ludwig Ernst Boesel. 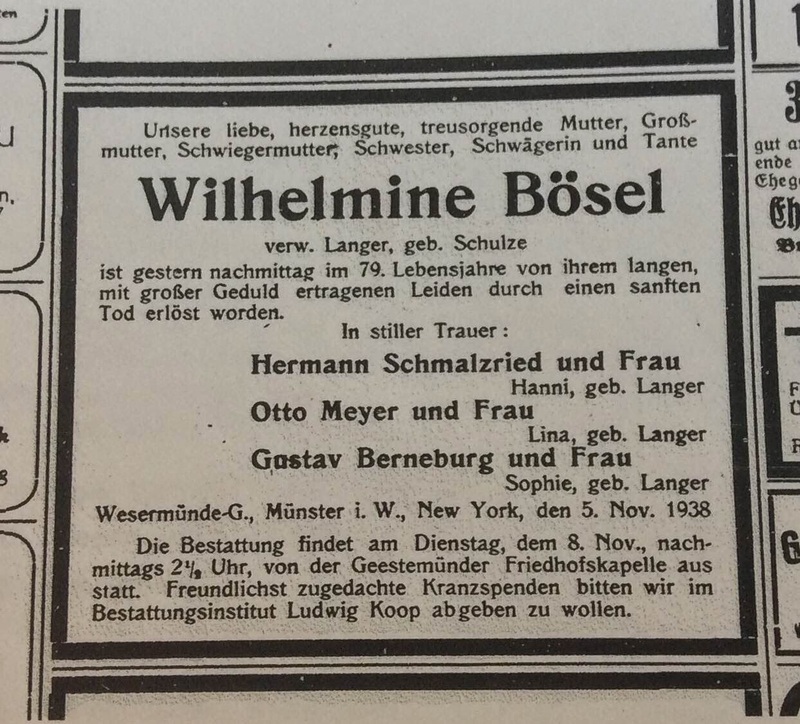 We know nothing of the kind of marriage they had; the only clue is that Wilhelm Boesel stood up as a witness at my grandmother Sophie's wedding, which says something, I guess. Wilhelm Boesel passed away in 1918; he was 60 at the time, so it's unlikely his death was connected to WWI. More likely, he fell victim to the influenza epidemic of those years. Again, just speculation. We don't know much more; I do know that in the 1920's Wilhelmine was living in a house or apartment owned by her son-in-law, Hermann Schmalzried. The final bit of information we have is that she died of stomach cancer on November 4th, 1938. She seems to have been beloved by her family -- I hope to find out more, over time.